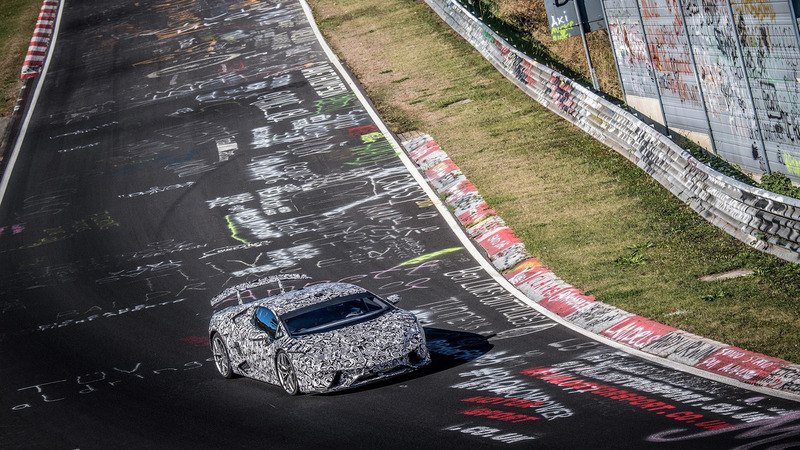 Lamborghini claims its new Huracan Performante achieved a Nürburgring lap time of 6:52.01 – which would best the Porsche 918 (6:57) by almost five seconds. But some are calling into question the legitimacy of the lap, saying that it somehow could have been enhanced, or that the company used some special equipment to achieve it. Our first evidence is brought to us by the blog BridgetoGantry.com. The author, Dale Lomas, notes that the speedometer may have been fed by less-precise GPS data rather than wheel speed. 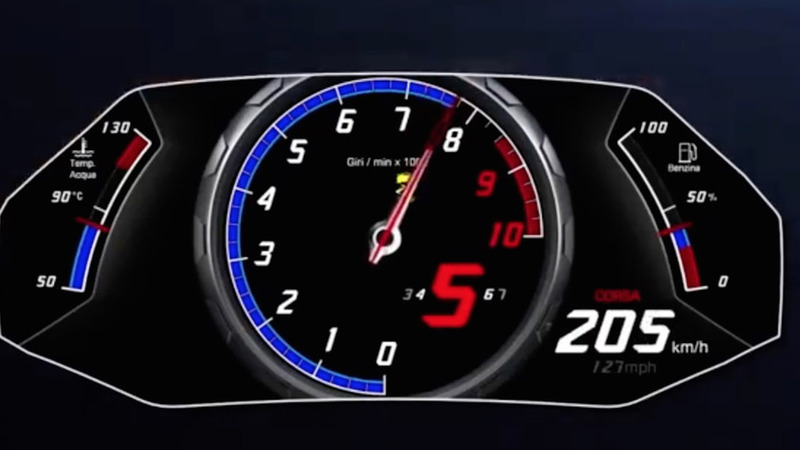 He compared the digital speedo on the Huracan Performante to the same speedo found on the Aventador SV. 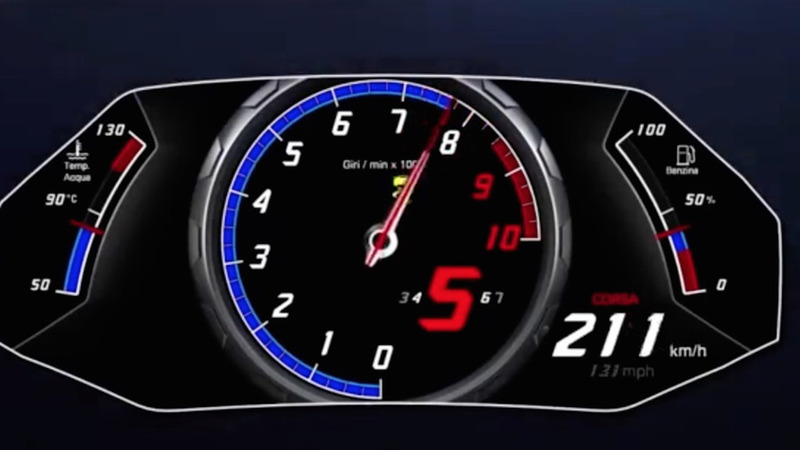 "The wheel speed is showing on the real-life dashboard," says Lomas, "while the GPS one on the software is showing something else, even though the RPMs are the same." The difference can be noted in the images below; Huracan on the left, Aventador on the right. The second piece of evidence measures the speed of both the Huracan Performante and the Aventador SV over a distance of about one mile, from the gantry to the Bridge. 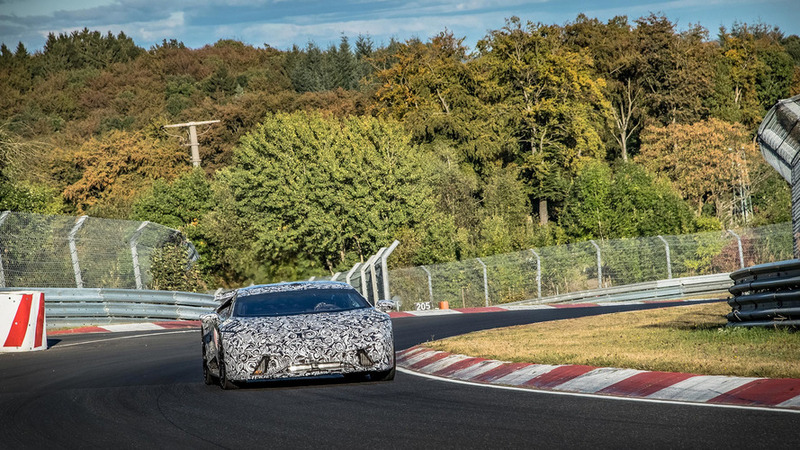 Lomas says that "Lamborghini sped up the frame-rate of the video… by nearly [five percent]." YouTuber Misha Charoudin finds similar faults in the claimed lap time. Most significantly, the 36-second difference over the standard Huracan LP610, which recorded a Nurburgring lap time of 7:28 seconds. Also, the supposed "safety equipment," which includes a roll cage, and as Jalopnik points out, Pirelli P Zero Trofeo R tires, 245/30ZR20 at the front, and 305/30ZR20 at the back, which may or may not come standard on the Huracan Performante. Others, like Top Gear presenter Chris Harris, suggest that while the video itself may have been edited to fit the time, the lap time itself is most likely real. So far, Lamborghini has yet to release a statement dispelling the rumors. We’ll update with more information as we get it. Until then, Lamborghini will debut its new Huracan Performante at the Geneva Motor Show later this week. The Motor1 team will be on hand in Switzerland for the live debut.